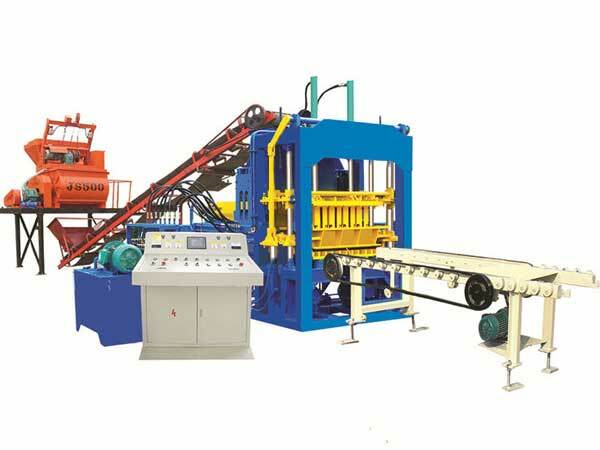 Semi automatic fly ash brick making machine is one type of equipment to produce fly ash bricks. 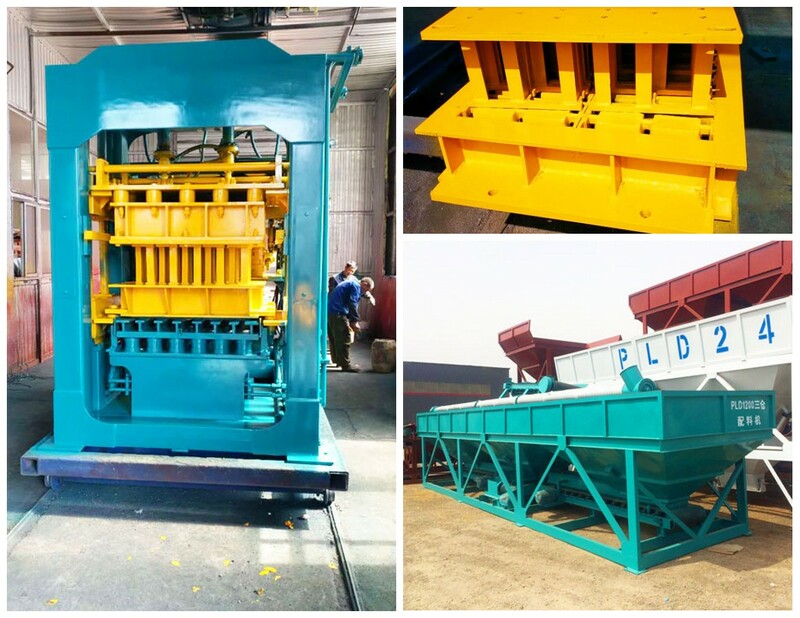 With high requirement of customers and high reputation on the market, we bring in a unique category of semi automatic fly ash brick making machine. 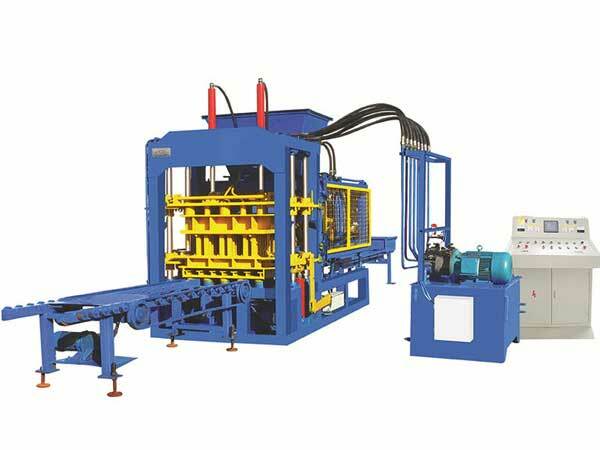 This semi auto flyash brick making machine is made with superior quality imported components and advanced technology as per the international standards. AIMIX GROUP semi-automtaic fly ash brick machine has wide application in building and construction project. When it comes into operation, it demands less manpower and time than the manual type. 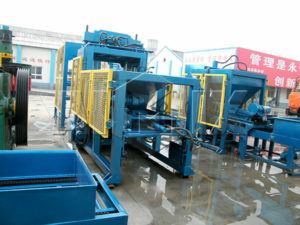 Compared with the fully automatic fly ash brick plant, the semi automatic fly ash bricks machine price is lower. 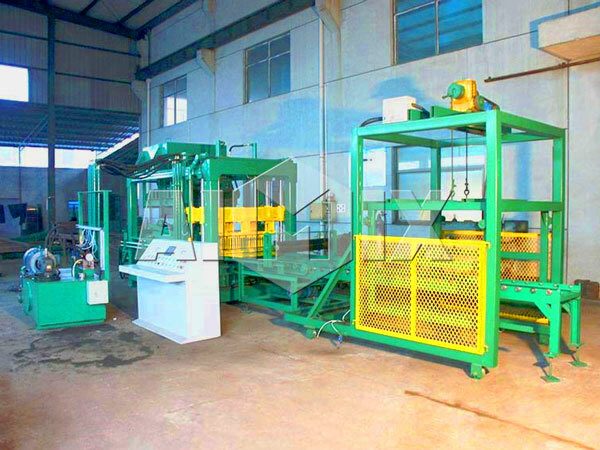 The semi automatic brick maker machine is popular with the customer who requires low investment and quick cost-recovering. We have exported QT4-25 to the Philippines. Our client is going to open a block plant. In the initial stage, he thought it costed too much if he purchased an automatic block machine. Our salesman help him to account how many blocks the machines can make per day and per month. Then the salesman take some exporting cases in Aimix. When the clients make comparison between us and anther manufacturer, our client decided to know more about Aimix Group. Because he would like to cooperate with a reputable and reliable company. He hoped we can show our certificates to him. After checking the certificates and realizing more about Aimix Group, he made a decision to purchase a semi automatic block machine. 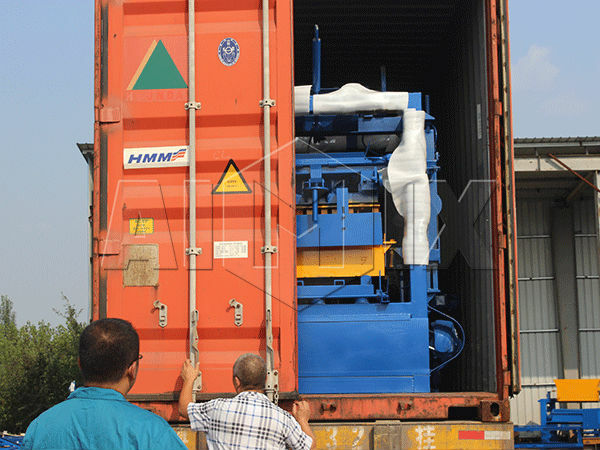 Our QT12-15 semi automatic fly ash brick making machine Australia has finished painting successfully, and it is ready to be sent to Australia. Our customer uses it to produce fly ash bricks for his new building. As for he needs to build 5 houses, he wants to choose a cost-saving brick machine, but general fly ash brick making machine doesn’t have high productivity, for many reasons and advice, our salesman advice him choose semi automatic ash brick making machine. Compared to fully automatic fly ash brick making machine, its price is lower; compared with general fly ash bricks machine, it can achieve high efficiency. In a word, if you don’t know how to get the right and cost-saving or efficient machine, contact us! We will give you the most professional advice and the best price! 1. 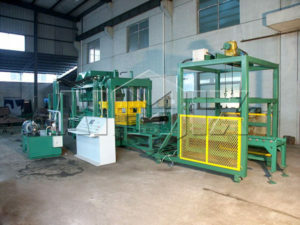 Most of the connection parts adopt the springs, except for the the frame of machine, so that the hollow block machine makes low noise during operation. 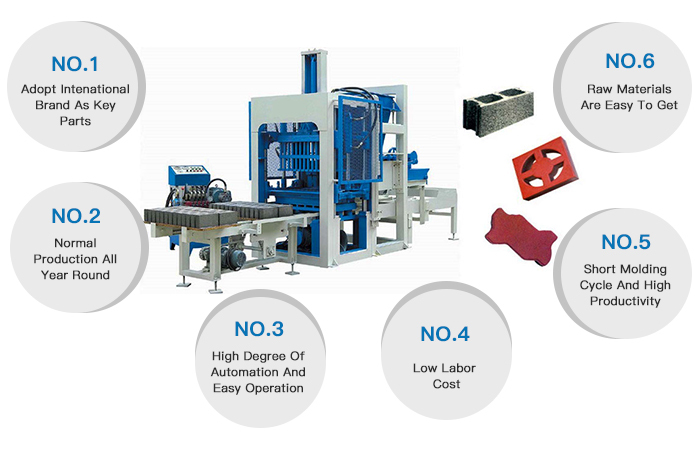 When the machine molds bricks, the press head, mold box, mold core and pallet will vibrate at the same time. The sympathetic vibration of them enables the bricks to be firm and strong. 2. 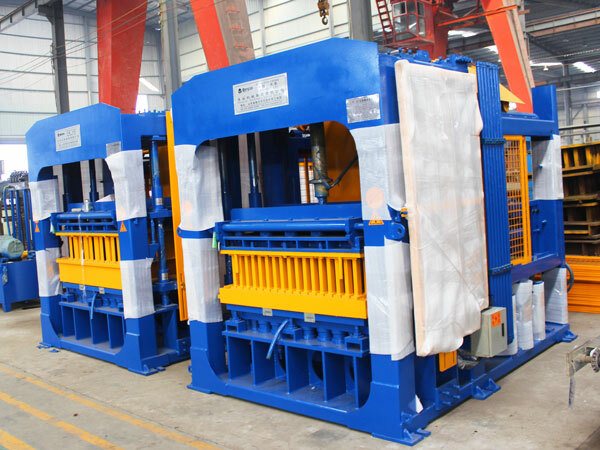 The press head can move from the front to the back of the mold box, so that it is easy to feed materials, maintain and clean the molding machine. The gap between the press head and the mold box is small, and the gap between the press head and the mold core is small too. Moreover, the falling distance of press head is short. So that the bricks are hairless, and the mold core has long service life. 3. The machine can be equipped with different molds to produce different types of bricks, the solid bricks, hollow bricks, perforated bricks included. The molds made in Aimix have the features of convenient replacement and long-term use. 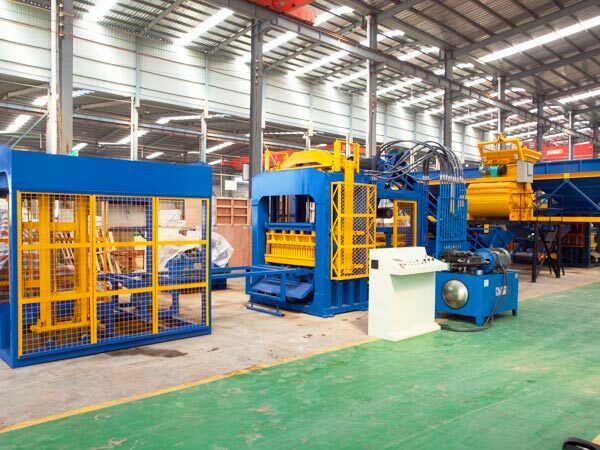 On the basis of different operation modes, the fly ash brick making machine can be divided into fully automatic, semi automatic and manual machine, and there are some similarities and differences among these types of machines. The working principle and processes of semi automatic machine are the same as manual and fully automatic machines. But the three types of machines have great differences in automatic degree. The fully automatic type has highest automatic degree, and all the procedures can be controlled by PLC, so it costs fewer labors. The manual type finishes all the processes by the labor, such as feeding and distributing the materials, stacking the bricks, etc. The semi automatic machine can complete the task automatically, but every step is controlled by the buttons. That’s to say, if the operator would like to start the next step, he must press the corresponding button. 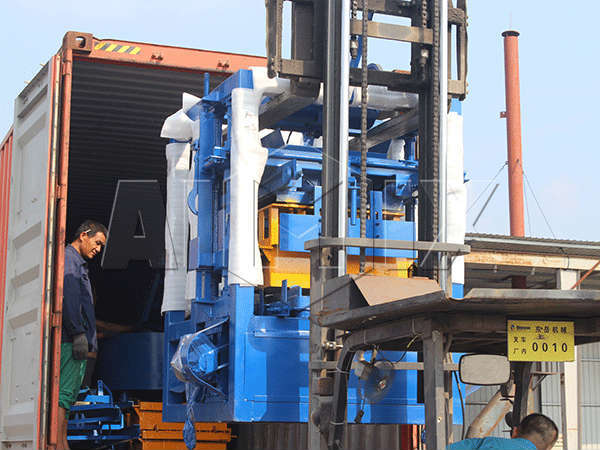 The semi automatic brick making machines supplied by Aimix are easy to install, operate and maintain, which ensures high efficiency and little trouble during operation. We promise that we will provide the best machines and service for the clients. 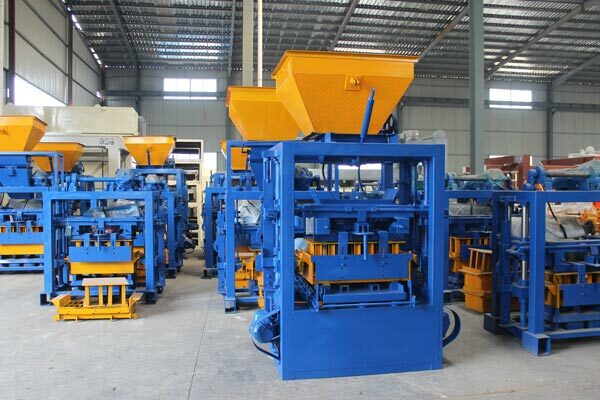 Meanwhile, the semi automatic fly ash brick making machine price is reasonable in Aimix. 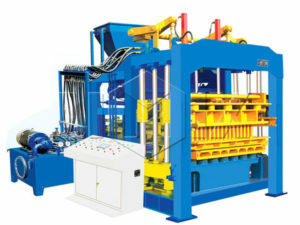 For more information about the brick making machine, you are welcomed to visit the websites of Aimix. 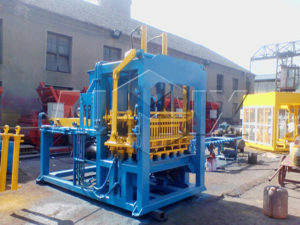 Whenever you would like to purchase a brick making machine, please contact us without any hesitation.